George Webb was born in Poplar in 1887. After attending Shaftesbury Road School he played football for Ilford Alliance. He signed as an amateur for West Ham United in August 1905 but for the first few years he only played for the reserves. Webb scored on his debut against Leyton on 9th April 1909. Webb, who worked for the family toy manufacturing business, was unavailable for some matches. That season he scored two goals in four games. The following season Webb established himself in the first-team. West Ham United beat Carlisle United 5-0 in the first round of the FA Cup. They did even better in the second round beating former FA cup winners, Wolverhampton Wanderers, 5-1, at Molineaux. In this match George Webb scored a hat-trick and Danny Shea got the other two. 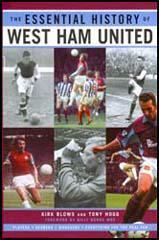 The Sportsman reported that: "At every point of the game West Ham United were superior to the Wanderers." The The Athletic News, the country's main football newspaper, produced a long report on the game. 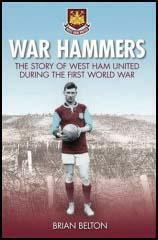 "To say that West Ham sprung a surprise at Wolverhampton would to put it mildly. The fact is that most of those who assembled at the Molineux Grounds were inwardly convinced that their favourites would, in racing phraseology, romp home. But right from the kick off they were disillusioned." In the next round West Ham United were drawn against Queen's Park Rangers. George Webb gave the Hammers the lead but QPR equalized with a goal that should have been ruled offside. Over 18,000 watched the replay that went into extra-time before QPR's centre-forward, William Steer, grabbed the winner. Webb played in 18 league games in the 1909-10 season. He was a member of a team that included Herbert Ashton, Danny Shea, Fred Blackburn, Tommy Caldwell, Frank Cannon, Bob Fairman, George Kitchen, Frank Piercy and Tommy Randall. West Ham eventually finished in 9th place in the Southern League that season. George Webb scored 12 goals in 22 league and cup appearances. He was described by one football historian as "fast, had a great shot while a hefty physique made him even more redoubtable." In 1910 he represented England at amateur level against Switzerland. The following year he played against Wales, Belgium, Germany and Holland. Webb won his first full international cap for England against Wales on 14th March 1911. The team that day included Bob Crompton, George Hunt, Jesse Pennington, Jock Simpson, William Wedlock and Vivian Woodward. Webb scored in England's 3-0 victory. Webb also played in the game against Scotland that was drawn 1-1 on 1st April 1911. In July 1912 Webb joined Manchester City in the First Division of the Football League. He had scored 32 cup and league goals for West Ham United. However, after playing the first two games of the season for his new club he resigned when he discovered that a transfer fee had been paid for his services. Webb now decided to retire from football. George Webb died of consumption in 1915.